Let me start this frugal tip of with a note of caution. Using credit cards can be risky. The tips I’m going to share with you will only work for you if you’re very disciplined about your purchases and make sure you can pay off your balance at the end of each and every month. Even a little slip here and there that causes you to carry a balance will eat up all the money you’re making in the form of interest (and then some). Early on in our marriage, we went through some lean times and ran up quite the credit card bill. Through some extra work, cutting back to the bare essentials and living as frugally as we possibly could, we were able to pay all that debt off in less than a year. After that we didn’t use credit cards for a while. We kept one around for emergencies, but never had a balance on it. While we didn’t stick it in the freezer, we didn’t carry it around with us either. Check with your credit card company or look for a new one with a good cash back offer. Be sure to read all the fine print to make sure there are no annual fees that will eat up your cash back reward. Next start using your card strategically. If you get the most rewards from grocery purchases, start putting that on your credit card. If it’s on gas … you guessed it, use your card at the gas pump. As I mentioned earlier, I also like using my credit card for online purchases because it’s easier to get your money back if something goes wrong. Another option and one we use quite a bit right now is to use a card that gives you points for your purchases. Ours gives us points for anything we put on the credit card and provided we pay the balance in time, we get the points. As a result, most of our purchases are made with the card, from groceries and gas to utility bills and the likes. If we can pay for it with a credit card, we’re doing that. About once every 3 to 6 months we have enough points accumulated to cash them in. Now here’s the important part – Don’t be tempted to get that cute weekend travel bag or the shiny toaster. Instead look for gift cards to stores you’re using quite a bit. We end up with $100 gift cards to Home Depot or Walmart on a regular basis. I get groceries at Walmart and the Home Depot ones are used for projects to do around the house. Amazon gift cards are another nice option. Save them up and do your Christmas Shopping there in December. Whatever you do, make sure you use those cards for something you would be buying anyway. Of course those aren’t your only options. 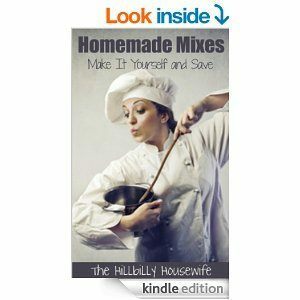 If you get a little creative, you can come up with all sorts of other little ways to make or save a little money here and here by using a credit card. You can sometimes get a better deal on a service or product if you put it on autobill with your card. 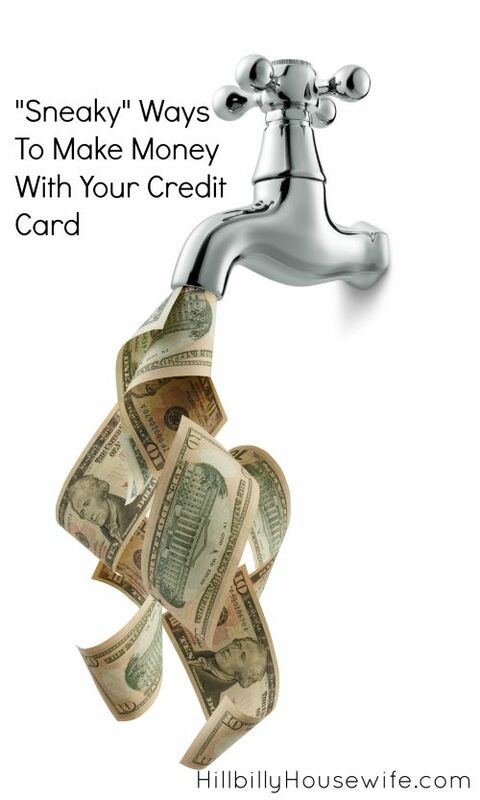 We even save a little on our utility bills by using the credit card payment option. No need for them to send us a bill, which results in a little credit each month, and no need for us to mail in a check (and pay for postage). It may not seem like much, but do that with every utility bill every month and those savings will add up. (Do be sure to check your online statements each month though to make sure nothing is going amiss). Here’s another creative idea. Douglas Clinton figured out a way to pay for his Netflix account and even make a little extra each month by strategically using a Credit Card. Read how he’s getting Netflix for free here. It wouldn’t take long to implement and for us having Netflix makes it easy to live without Cable TV. I’m sure you have some other great ideas on how you’re currently using your cards smartly and frugally. I’d love to have you share your favorite tip in the comments below. I can’t wait to read your ideas and strategies (and implement them myself).